Colin is literally one of the biggest names in comedy in Australia - not only is he 6' 7", he is also known for his hugely dynamic performance. His delivery is fast and furious, and his material ranges from the topical to the observational. As well as comedy. Colin has been an actor for many years, and in this field he is known for his versatility and he is a very much sought-after performer. Colin Cole’s comedy TV credits read like a "'guide to Australian Television" they include hit shows such as ‘Hey Hey’, ‘The Max Gillies Show’ and ‘Bingles’. He has toured extensively in the US, Canada and Hawaii, and now he’s also taking the UK by storm. He’s been described by The New York Times as "One of the most exciting performers to come out of Australia since Skippy!" 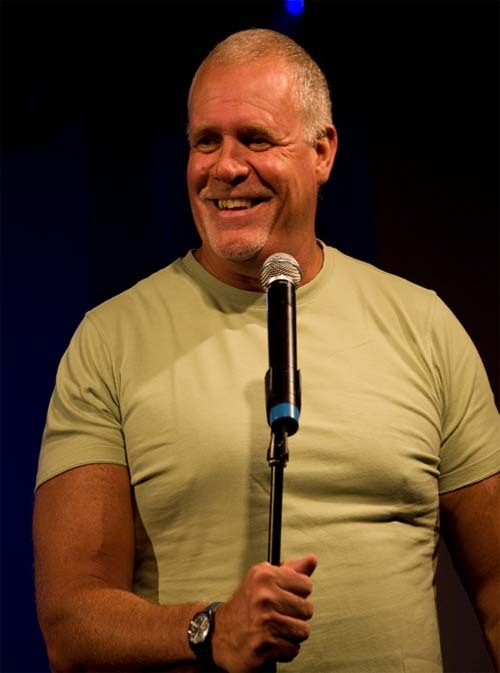 Colin is a highly skilled and experienced performer, his ability to break barriers with this universally funny material makes him appealing to a wide range of audience.